Now that it’s out of the way and done with, we all know what’s coming to us when October 14th arrives, but in the meantime, there might be a few of you looking to compile a little bit of cash to make the big purchase. Sporting a starting on-contract price point of $199, the price of the iPhone 4S is at a comfortable position that we’re all familiar with by now. Naturally, if you’re considering picking it up, but don’t have the money right now to fork over, then you might want to check out Apple’s reuse and recycling program. 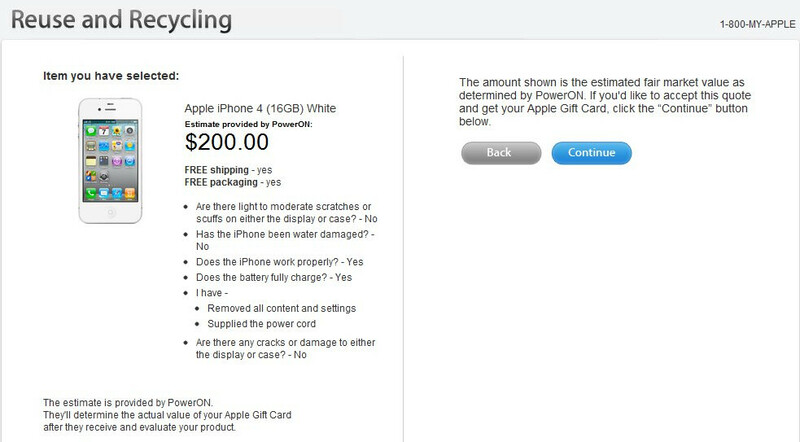 Well, if you happen to own the current iPhone 4, you can actually score at least $180 for your used 16GB black iPhone 4 – as long as it’s in good working condition obviously. Who knows exactly what’s the case surrounding it, but Apple is giving more money for the white version of the handset – it’s at an even $200. Essentially, you can pay close to nothing if you happen to trade your old unit and purchase the new one when it becomes available. Sure it’s nice that you’re almost guaranteed the full amount, which can then go into the purchase of the iPhone 4S, but there are always alternative routes available to sell your old iPhone – like eBay or Craigslist where you can potentially score more dough for it. If you want something quick and easy, then go ahead and check out Apple’s offering. Beat me to it. Again, apple trying to rip people off. It's called depreciation. Wait another month and try to get even $150 for it. hmmm so new customer like me... will have to get it under contract.... lets see what ebay offers.. So the new iPhony 4S is 20 dollars better than the old one. Well, 19 to be exact. yea it kinda makes no sense!! Trading in your phone doesn't mean you have to have an eft. If you are the primary on your account, some carriers allow you to upgrade once a year. 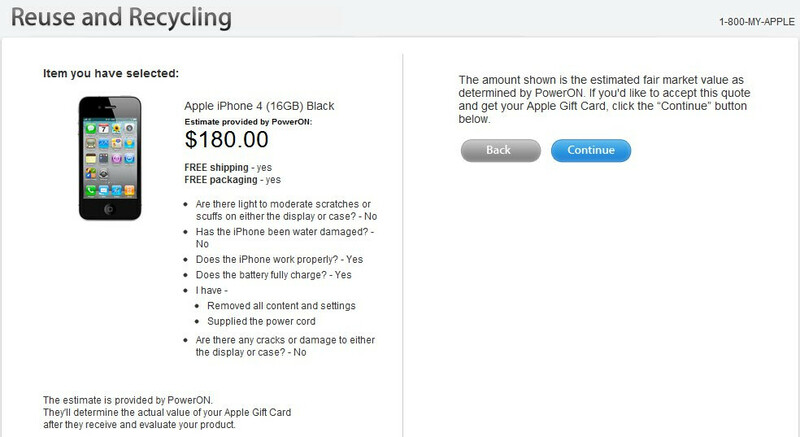 So if you bought an iPhone 4 a year ago, you could be eligible to upgrade now. 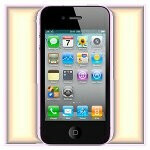 Trading in your old phone could almost pay for your new phone, depending on what GB your looking for. No other company is offering that kind of trading in value for their old devices. The question is how fair will they be when determining the condition and the value of your phone? Here at Verizon we offer $140 for cdma 16gb white or black, and $160 for gsm wht/blk , for 32gb you'll get $199 for cdma and $210 for gsm. Verizon ended their annual upgrade on January 1st, which means that if you have an iphone you have to wait at least 20 months before able to upgrade at a subsidized price. or buy the phone at full price of $710 [$650 + $60 in tax] in CA or cancel your line for around $350 depending how long you have been under contract, then open a new line. Honestly I don't think that this iphone is worth it. bigger camera and bigger core, those are basically the only differences, the IOS 5 will be available for download on the 12th, just hold on to your current iphone and wait for the next one. I don't think it's worth it either, but that's just me. I guess apple feels they should give something back....I think I'll sell mine on ebay. You're responding as if I attacked you or something. If that's how it came off, I sincerly apologize, for that wasn't my intention. Anyway, I am aware that this trade in program is offered by Apple themselves, so I realize your not trading your phone in a store. And you don't have to upgrade to get the new phone. Many people are more than happy to pay full retail for the iPhone 4S just to have the "Latest and greatest" of what Apple has to offer. That brings the price down from 649 to 449. So for those people, this article is still great news. P.S. You'll find that there are many kinds of people who visit this site. Geeks, nerds, techies, and even people who work in many departments within every carrier in the US. I myself have worked for both T-Mobile and VZW in C/S and tech support for both. So be careful how fast you pull that trigger in here. Not everyone here is easily impressed. well, ill give u that...but i was attacking the article itself....as u may know from working at the carriers people read some of these articles and do not end up doing any research on their own the next thing i know i got people out the door trying to hand me an iphone 4 for an iphone s...i just meant to say that for most of the people who have the 4 it will be money out of pocket to get the 4s not just "almost nothing"